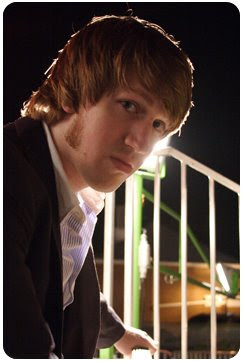 The second in the artists to look out for this year, especially my of my favourites from MySpace, Mark Rose. 1. Would you please introduce yourselves. I'm Mark Rose- a singer/songwriter from Chicago. I was front man for the rock band Spitalfield from 1998-2007 and now am taking the next step in my career as a solo artist. 2. How did you get into music? I've always been around music, it has pretty much been my main focus since I can remember. Starting with piano lessons when I was five years old, starting bands with my friends in middle school, playing in the symphonic and jazz bands in high school-- it was all I did. In early 2003, my band (Spitalfield) signed a recording contract with Victory Records. I spent the next five years writing, recording & touring-- making it to nine countries over three continents. It was an amazing experience. 3. How would you describe your music to someone who has never heard you? The easiest way to describe what I am currently doing would be pop/blues. People compare me, stylistically, to John Mayer or Jason Mraz. I am all about finding grooves and really feeling the music. 4. What work at you doing at the moment? Writing a lot of new material as well as putting together my Spring tour which will route me down to SXSW in Austin, TX. I plan to be in the studio working on some new demos soon as well. You can find me at: http://www.MarkRoseMusic.com - which has links to my music and blog, if you're interested. Also hit his MySpace for more information.